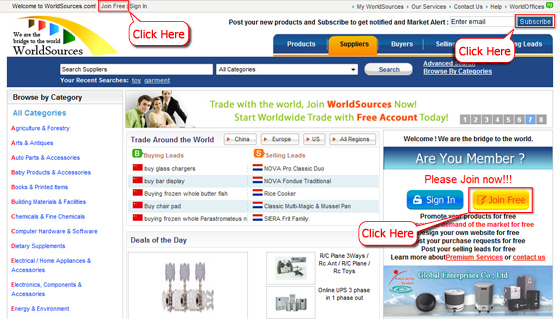 ﻿ Help - WorldSources.com, WorldOffices.com, iTrader ERP system, China Suppliers Directory, Global Buyers Platform, supplier, buyer, sourcing, trade, trading, manufacturer, product, producer, e-commerce . 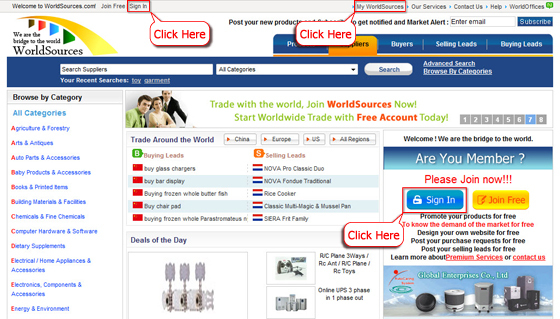 Please visit www.worldsources.com and click on the Join Free or Subscribe link on main screen as shown. 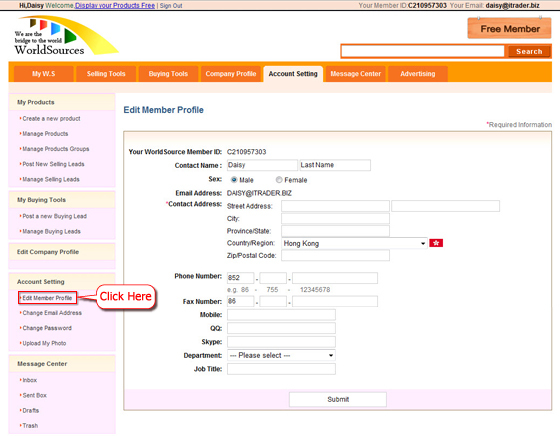 Fill in basic contact detail and then click “Create My Account”. 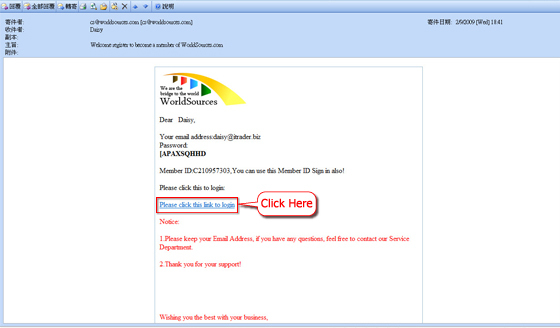 After completing your registration form, you will receive a confirmation E-mail from Worldsources Customer Service Team. Remember do not share your password with others. If you would like to become a Worldsources paid member or learn more about premium services and benefits, please visit: Services Link. 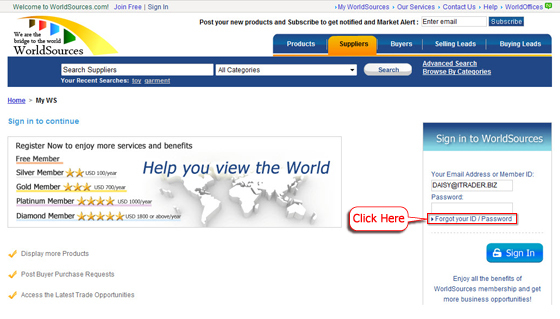 Or you can go to www.worldsources.com main page to sign in. 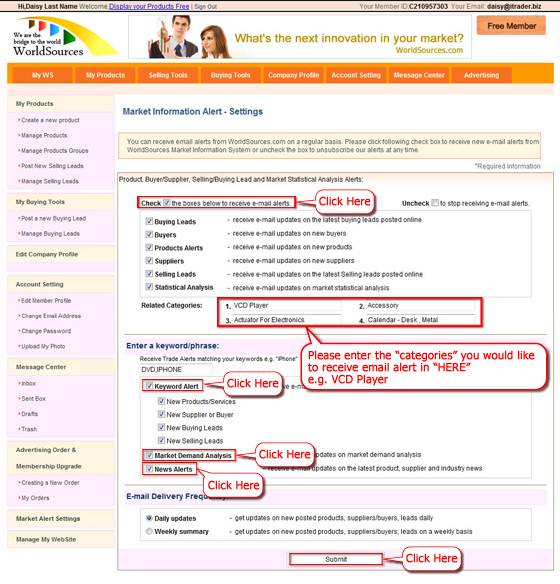 During the registration process, you will create a Member ID and Password. 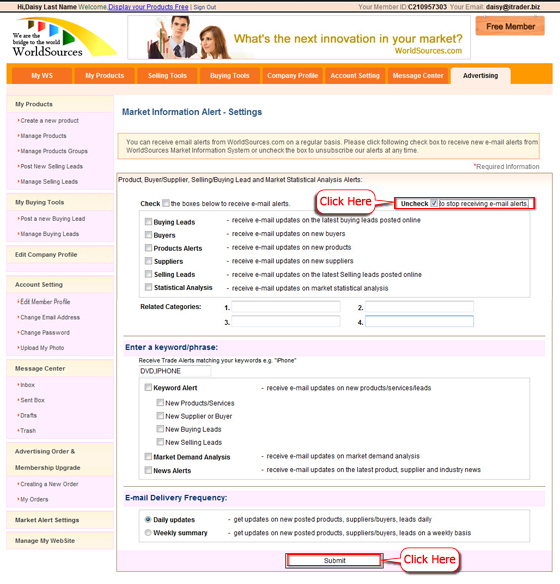 You are solely responsible for maintaining the confidentiality of your Member ID and Password. 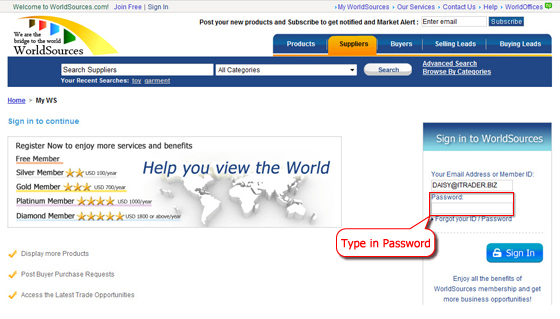 To change your Worldsources account password, you need to login first and then click “Change password” under “Account Setting” section in My WS. 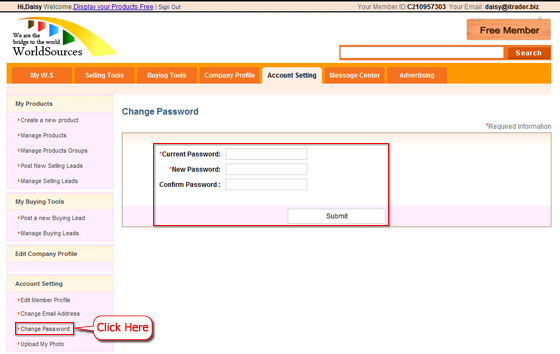 Click on “Forgot Password” button on “Member Login” page, and then go to Member ID & Password Retrieval Form. from Worldsources Customer Service Team. 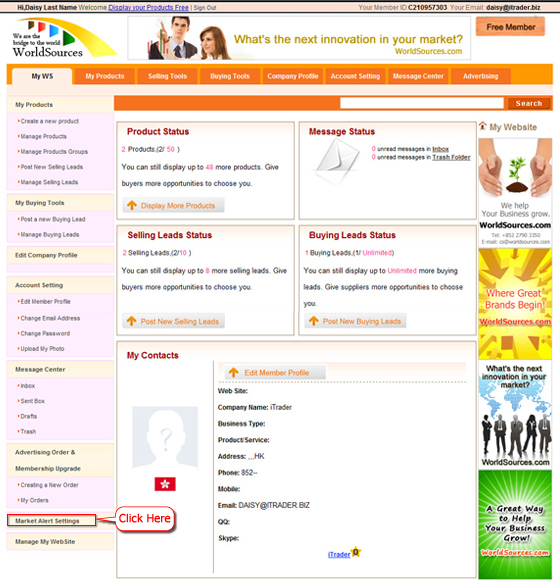 To edit your Worldsources Member Profile, you need to login first and then click “Edit Member Profile” under “Account Setting” section in My WS. 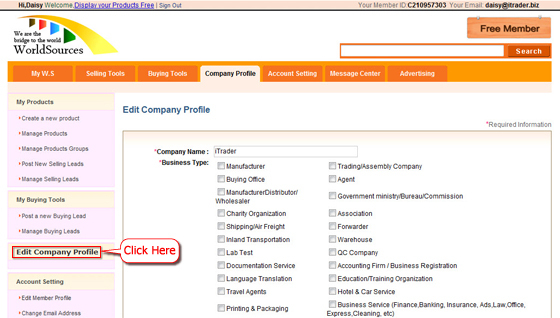 To edit your Worldsources Company Profile, you need to login first and then click “Edit Company Profile” under “Account Setting” section in My WS.